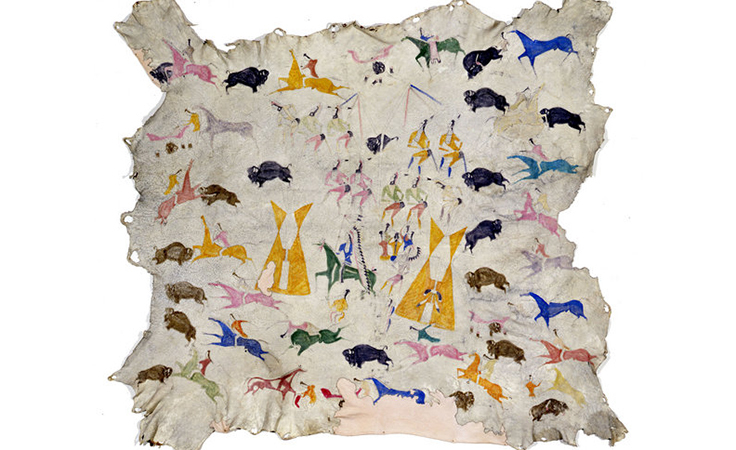 Painting on animal hides is a longstanding tradition of the Great Basin and Great Plains people of the United States, including the Kiowa, Lakota, Shoshone, Blackfeet, Crow, Dakota, and Osage. While the earliest surviving hide paintings date to around 1800, this tradition was undoubtedly practiced much earlier along with other forms of painting like petroglyphs (rock engravings). Painting, in tandem with oral traditions, functioned to record history. Often artists like Cotsiogo (Eastern Shoshone; pronounced “co SEE ko”), who is also known by his Euro-American name, Cadzi Cody, painted on elk, deer, or buffalo hides using natural pigments like red ochre and chalk, and eventually paints and dyes obtained through trade. Usually, artists decorated the hides with geometric or figural motifs. By the later nineteenth century certain hide artists like Cotsiogo began depicting subject matter that “affirmed native identity” and appealed to tourists. 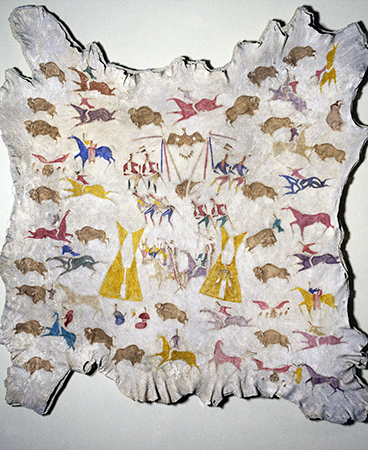 The imagery placed on the hide was likely done with a combination of free-hand painting and stenciling. 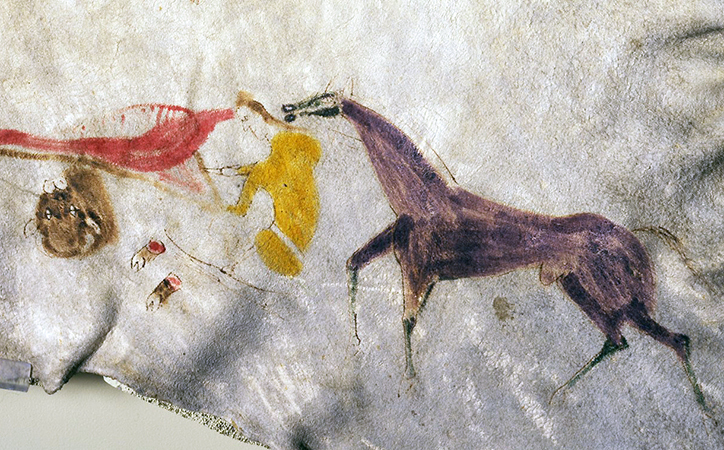 Men and women both painted on hides, but men usually produced the scenes on tipis (tepees), clothing, and shields. Many of these scenes celebrated battles and other biographical details. The Brooklyn Museum’s hide painting by Cotsiogo may have functioned as a wall hanging and has also been classified as a robe. 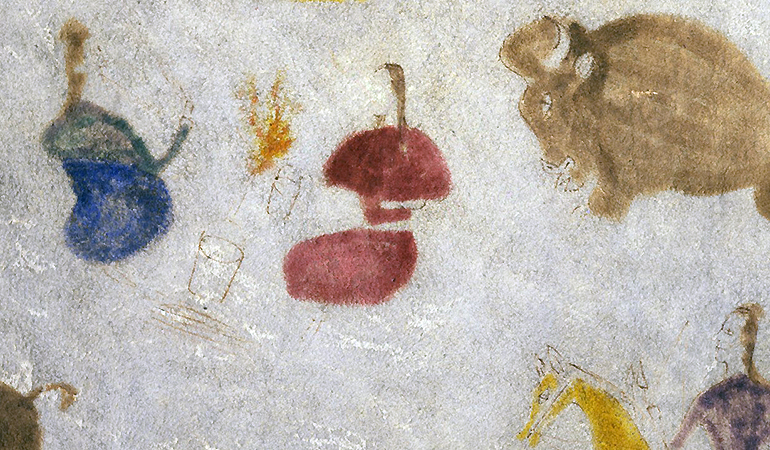 Cotsiogo (also Codsiogo, Katsikodi or Cadzi Cody), a member of the Eastern Shoshone tribe, painted many hides in addition to the two shown above. They represent his experiences during a period of immense change for the Shoshone people. 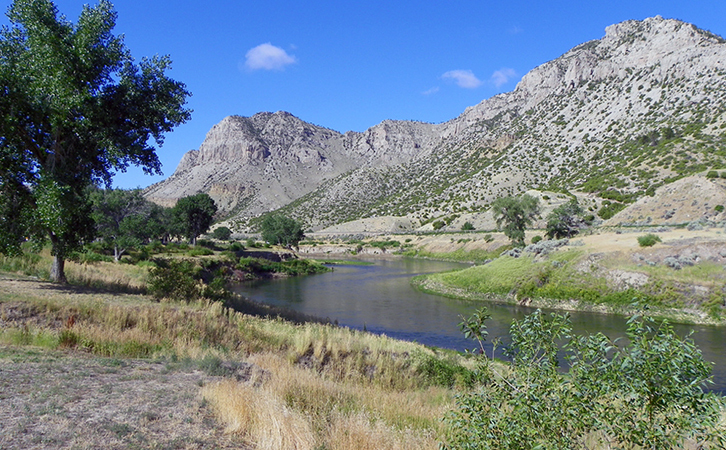 During his lifetime, Cotsiogo was placed on the Wind River Reservation in central western Wyoming. 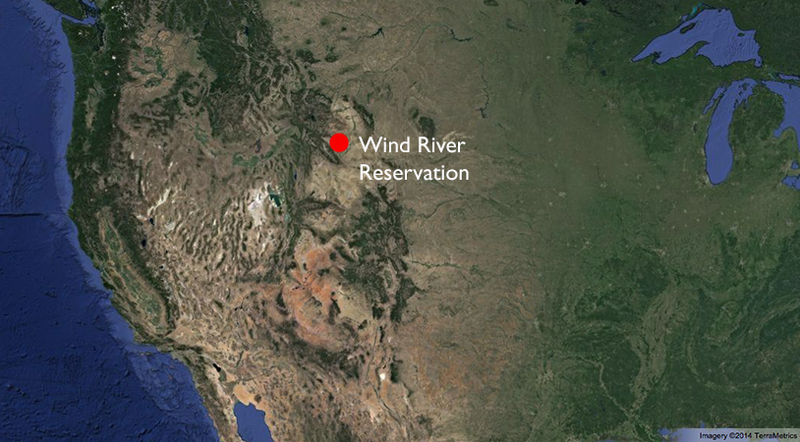 The Wind River Reservation is the size of Rhode Island and Delaware combined and had been established by the Fort Bridger Treaty of 1868. Prior to their placement on the Wind River Reservation, the Shoshone moved with the seasons and the availability of natural resources. Many Shoshone traversed the geographic regions we now call the Great Plains and Plateau regions. Cotsiogo likely created the Brooklyn Museum hide painting (above) for Euro-American tourists who visited the reservation. It might explain why there is a scene of buffalo hunting, a scene which was thought to be desirable to tourists. 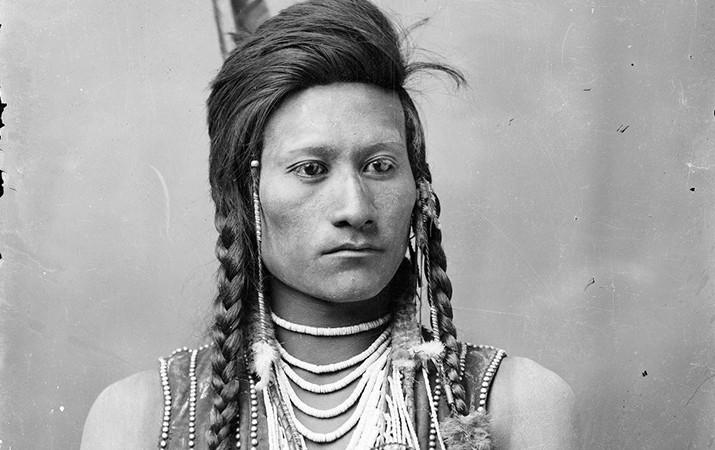 Its production helped to support him after the Shoshone were moved to the reservation. With newly established trade markets and the influx of new materials, artists like Cotsiogo sometimes produced work that helped support themselves and their families. Cotsiogo’s Brooklyn Museum hide painting combines history with the contemporary moment. It displays elements of several different dances, including the important and sacred Sun Dance and non-religious Wolf Dance (tdsayuge or tásayùge). The Sun Dance surrounds a not-yet-raised buffalo head between two poles (or a split tree), with an eagle above it. Men dressed in feather bustles and headdresses—not to be confused with feathered war bonnets—dance around the poles, which represents the Grass Dance. With their arms akimbo and their bodies bent, Cotsiogo shows these men in motion. Men participating in this sacred, social ceremony refrained from eating or drinking. The Sun Dance was intended to honor the Creator Deity for the earth’s bounty and to ensure this bounty continued. It was a sacred ceremony that tourists and anthropologists often witnessed. However, the United States government deemed it unacceptable and forbid it. The U.S. government outlawed the Sun Dance until 1935, in an effort to compel Native Americans to abandon their traditional ways. Cotsiogo likely included references to the Sun Dance because he knew tourist consumers would find the scene attractive; but he modified the scene combining it with the acceptable Wolf Dance, perhaps to avoid potential ramifications. 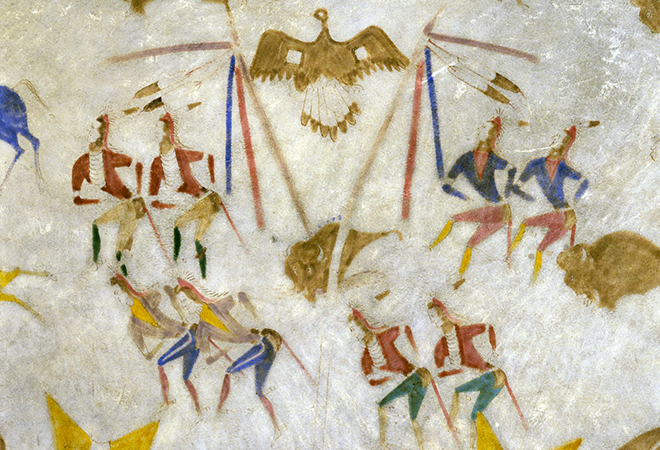 The Wolf Dance eventually transformed into the Grass Dance which is performed today during pow wows (ceremonial gatherings). The hide painting also shows activities of daily life. Surrounding the Sun Dance, women rest near a fire and more men on horses hunt buffaloes. Warriors on horses are also shown returning to camp, which was celebrated with the Wolf Dance. 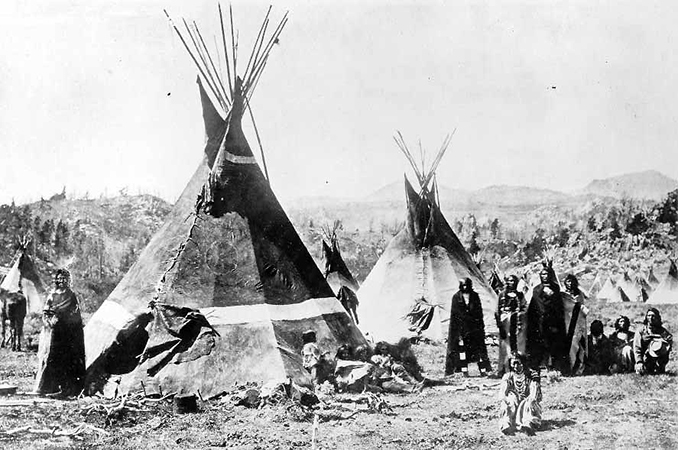 Two tipis represent the camp, with the warriors appearing between them. Some of the warriors wear feathered war bonnets made of eagle feathers. These headdresses communicated a warrior acted bravely in battle, and so they functioned as symbols of honor and power. Not just anyone could wear a feathered war bonnet! 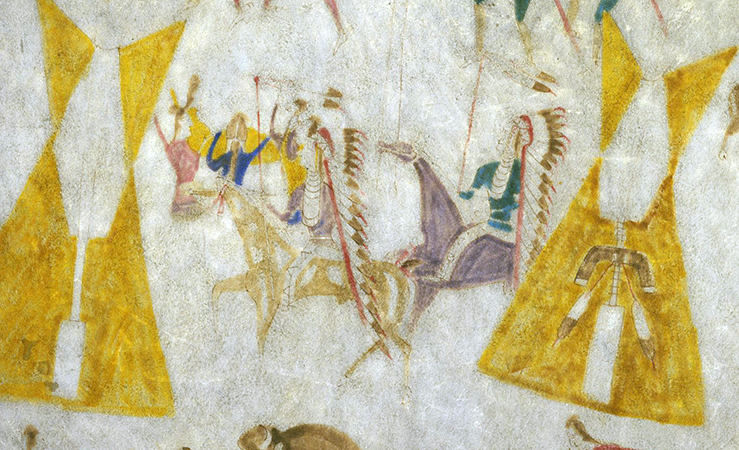 Cotsiogo shows the warriors hunting with bows and arrows while riding, but in reality Shoshone men had used rifles for some time. Horses were introduced to the Southwest by Spaniards. Horses made their way to some Plains nations through trade with others like the Ute, Navajo, and Apache. By the mid-eighteenth century, horses had become an important part of Plains culture. Buffaloes were sacred to the Plains people because the animals were essential to their livelihood. Some scenes display individuals skinning buffaloes and separating the animals’ body parts into piles. All parts of the buffalo were used, as it was considered a way of honoring this sacred animal. At the time Cotsiogo painted this hide, most buffalo had either been killed or displaced. Buffaloes had largely disappeared from this area by the 1880s. Cotsiogo’s hide thus marks past events and deeds rather than events occurring at the time it was created. According to The New York Times, the 14,000 current residents of the Wind River Reservation suffer a crime rate more than five times the national average, a life expectancy of only 49 years, and an unemployment rate that may be above 80 percent. Cite this page as: Dr. Lauren Kilroy-Ewbank, "Eastern Shoshone: Hide Painting of the Sun Dance, attributed to Cotsiogo (Cadzi Cody)," in Smarthistory, August 9, 2015, accessed April 24, 2019, https://smarthistory.org/eastern-shoshone-hide-painting-of-the-sun-dance-attributed-to-cotsiogo-cadzi-cody/.